This unique storage cube is a great space-saving tool able to hide away toys, magazines, blankets, shoes, and more. 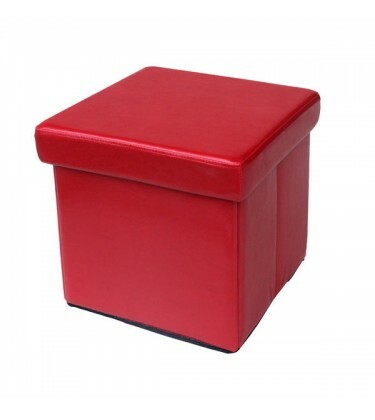 This synthetic leather cube can be used as a sturdy ottoman or folded down to 1/4 its size when not in use. 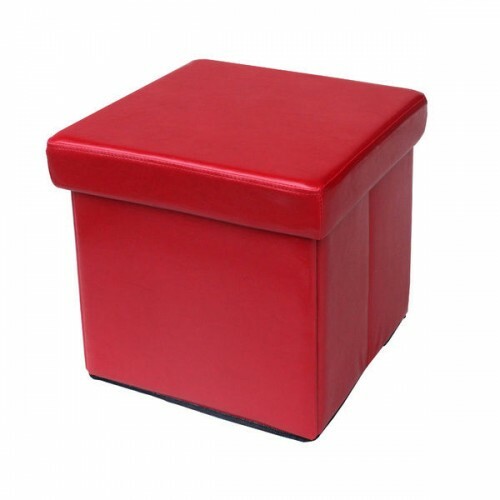 The storage ottoman's sleek exterior and brilliant color add a touch of fun to a bedroom, playroom, craftroom or even a living room, and the roomy interior is ideal for storing lots of items. Upholstery using synthetic leather gives the unit a rich look without the maintenance requirements of the real thing, and a sturdy wood frame allows the ottoman to store heavy items with ease.